Your British Soldiers are coming back. The knot hole garden is way cool, like an oasis in a desert. No ideal what the other one is? Love the little garden. It really looks like an alien surface, like from the movie Avatar. 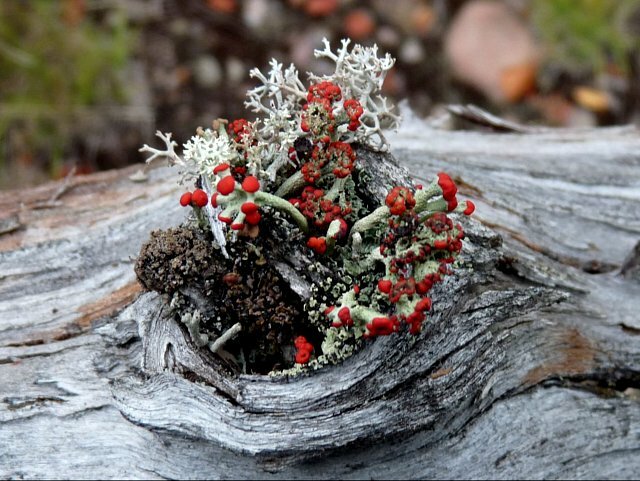 Believe it or not, I just found the mystery lichen in Michigan Lichens by Julie Jones Medlin. 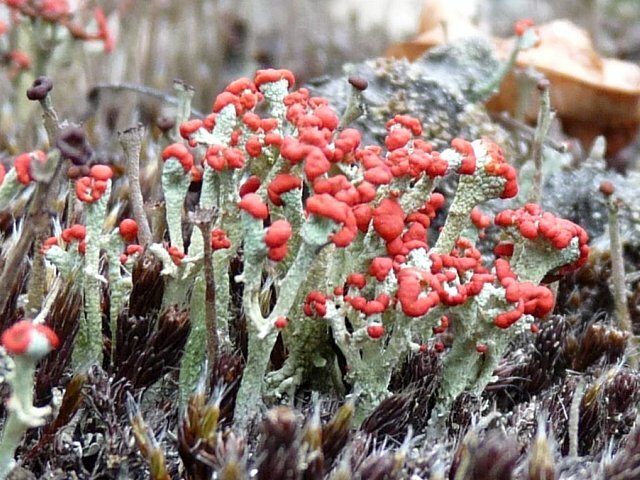 It is Cladonia verticillata- wedding cake lichen. She says it’s common in MI- guess I’ll have to pay attention. 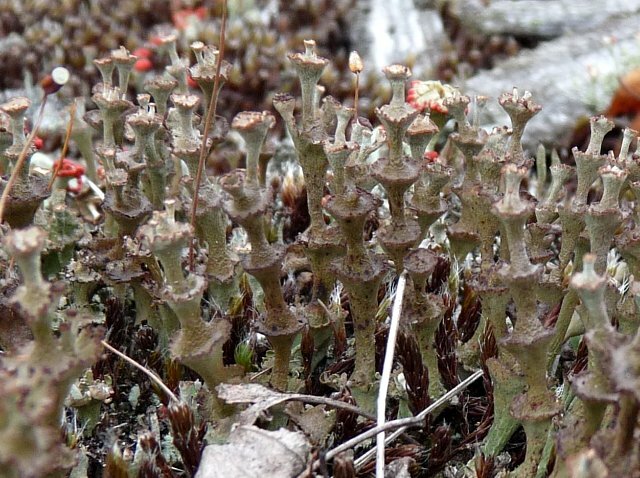 It says the cups lack soredia but often have squamules on the stems. Alrighty then! your photos are awesome and i like your name for it. i love fairy this and fairy that, such a the tiny and lovely scented Fairy Slipper; Calypso orchid. I demolished an old pond deck and a few pieces of the decking boards had some lichens ( matchstick, british soldier ? ) on them. I brought them home. How do I maintain them? Lichens aren’t something I bring home so I’m not really able to answer with authority. They are in the reproductive stage when you find the red tops. Whether they survive or not is a good question. They will persist for a long time though.